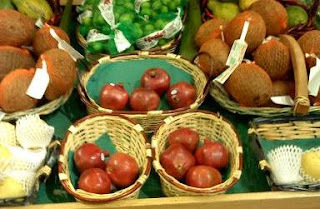 Sadly I went shopping today, all by myself, during lunch because one of my friends (and most favorite co-worker) is no longer working with me. She's moved on to EMC in Hopkinton, MA. I had intended to visit Staples in Westborough to wander the aisles since I haven’t been there in months and haven’t checked out their Back-To-School merchandising. But instead I was pulled towards Home Goods to check out their Halloween/Thanksgiving decorations. I found a bright yellow smiley face canister with a latch on the side. I had to buy it, but I have no idea what I’m going to do with it. My guess is it’s being added to my smiley face collection which will eventually be displayed in my curio case. I also dug around in their clearance section and found some Beagle embroidered hand towels that I bought for the newly painted bathroom. I remember this feather wreath I thought I would buy as an Easter decoration a while back, but Jillian thought it was too tacky and thus perfect for me. Well, months later Home Goods has had one in pale green that would have looked perfect hanging on my bathroom wall for a mere $14, but I didn’t buy it because we tend to use a lot of baby powder post shower and I wasn’t sure if the powder particles would float around and attach themselves to the wreath. 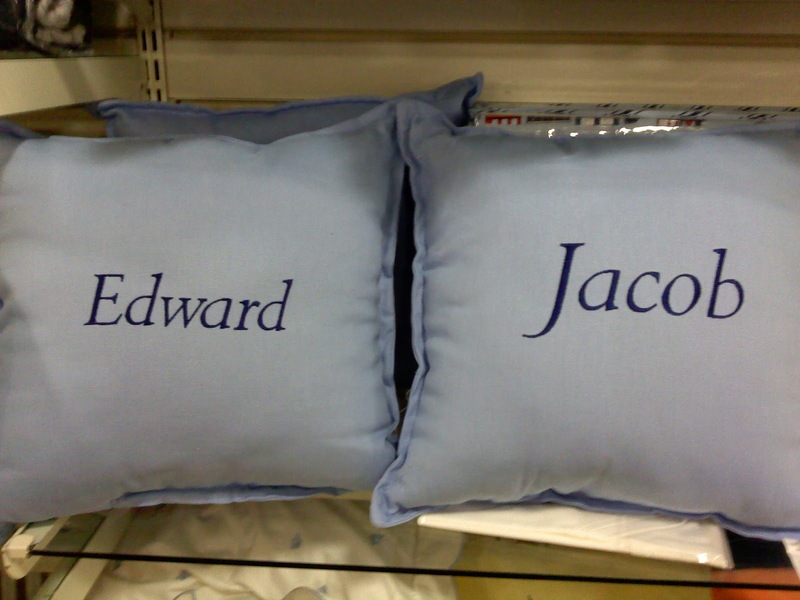 I lurked around in their children’s décor section and found two blue throw pillows each saying ‘Jacob’ and ‘Edward’…. 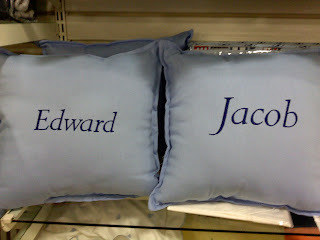 I left them alone, but took a picture of them on my cell phone for posterity to show all my Twilight buddies! As I was checking out, I grabbed a box of Mini Liquorice Allsorts by McKeever Danlee for $1.99 as my impulse buy. (The back of the box said they were a product of South Africa and may contain Gluten. ) I cracked open the box upon returning to the office and they were delicious. I’ve never had mini Allsorts. Weird. My First Pomegranate Sighting of the Season!